Jon Whitney has spoken ahead of Saturday's League One clash with Bristol Rovers, and has discussed his selection headache. 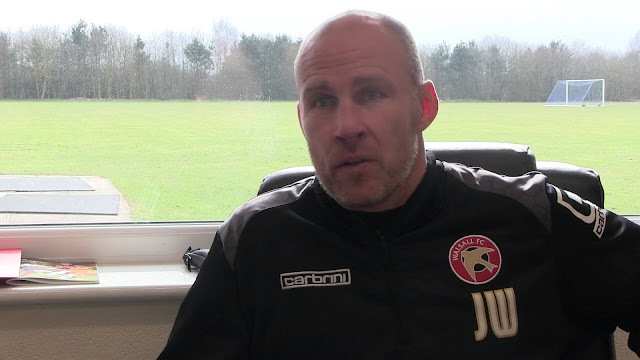 Saddlers boss Jon Whitney has spoken ahead of Saturday's League One clash with Bristol Rovers, and discussed the selection headache which he has when it comes to picking his attacking players as he has Simeon Jackson, Amadou Bakayoko, Tyler Roberts, Daniel Agyei and Mitchel Candlin all chomping at the bit. Jon, who was speaking via Saddlers.co.uk, said; "It’s a nice headache. The energy we want from the front two or three, they will be used and will tire at stages in the game. That’s what we want – we don’t want to gradually feel our way into the game, we want to hit it running and try to empty the tanks as quickly as we can. "They may give us a bit less defensively but if they can occupy an opponents’ back three or four, that’s their main role. Everyone is fighting for places and it’s a nice problem for me to have. We’ll have to leave some really strong players on the bench but it will benefit us in the long run."